It notes that the ministry received invoice for fees of Le9,877,400,000 dated 27th October 2016, for the 1st cohort of 1,200 government sponsored students (600 students) studying at the university for the first academic year (2016/2017), but that government paid Le10billion which resulted in an overpayment of Le122,600,000. "From the review of the ministry's payment analysis for the balance 50 percent payments done by the former Acting Principal Accountant, it was observed that the ministry paid Le12,180,110,420 to the university resulting in an overpayment of Le2,632,139,660 (Le12,180,110,420 - Le9,547,970,760)," the report states. 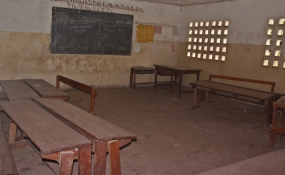 Similar overpayment was made to consultants and a contractor for rehabilitation and extension works at Fourah Bay College, totaling Le72,588,682, due to be used by the Bank of Sierra Leone's (BSL) United States Dollars (USD) selling rate rather than the BSL mid-rate. Meanwhile, the report notes that a total amount of Le3,190,815,029 withdrawn from the Ministry's imprest account held at the BSL were not supported by payment vouchers and relevant supporting documents such as invoices, signed list of recipients, receipts. Another thorny issue observed by the audit report in the ministry has to do with ghost workers. The report says nine staff, who were retired and to whom retirement letters were issued, were still on the Ministry's payroll vouchers for the period under review, with a total salary of Le84, 678,976 paid to them. In the same vein, the report says 11 staff that have attained the statutory retirement age of 60 years were not served with letters of retirement and that their names continue to appear on the Ministry's payroll voucher and they receiving salaries amounting to Le193, 003,944 for the period under review.